Issue: If you click a link and are not seeing any content, presentations, page remains blank/big white box, it is likely that the content is unsecure meaning is includes http:// at the beginning of the URL address. 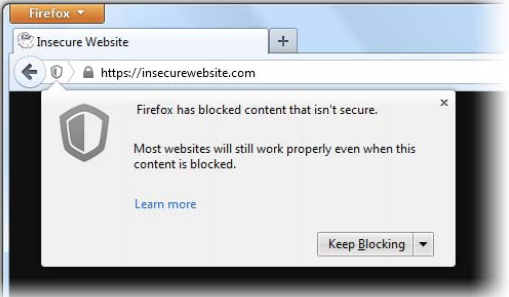 Your browser's security may not be allowing this content to be viewable in your course. 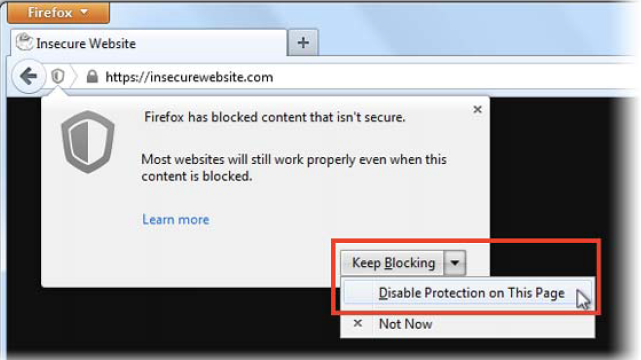 Select Disable Protection on This Page from the drop-down menu. Note that the shield icon in the address bar will change to an orange warning triangle ( ) when you disable the protection. These serve as a reminder that insecure content is being displayed. To revert the settings and block original content, navigate to the web page in a new tab or window. Posted by: Amy Sorensen - Fri, Aug 14, 2015 at 1:41 PM. This article has been viewed 5133 times.